£7 for a box of Rice Crispies, I couldn’t believe it! I showed Megan; she passed out right there on the supermarket floor and got run over buy 2 trolleys and a pram. Such was my state of shock that I didn’t even notice. We had been told that Australia was expensive but nothing could have prepared us for the 7 quid cereal aisle. 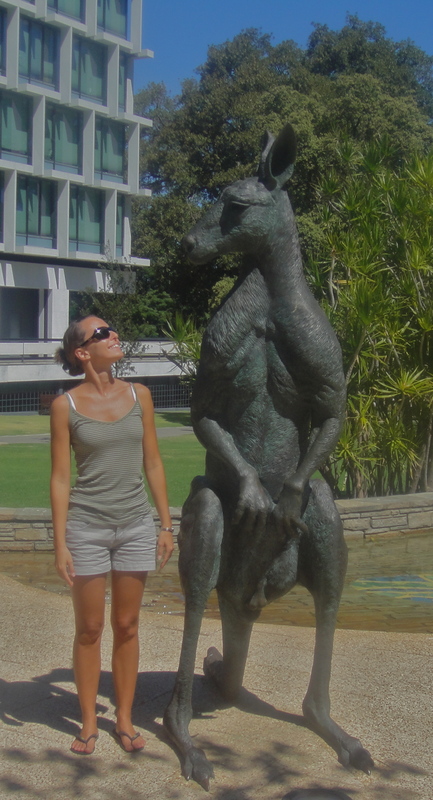 So yes, we are in Australia! Hurray I hear you all cry, but before you let off the party poppers we are still waiting of for the Land Rover. She actually arrived over a week ago but due to strikes, back logs at the port and an over exuberant customs force wanting to x-ray the container before it gets opened Harriet is still sitting on the quayside in Fremantle. Hopefully we will have her back before the end of this week, as long as there aren’t too many issues with the quarantine guys, which is a distinct possibility. In Malaysia it only took 36 hours from off loading the container to us driving up to Kuala Lumpur, Oz might take fourteen days! Bummer. Anyway, as you might have gathered it’s expensive for us pommies over here at the moment, about 1.6 dollars to the pound. I can still remember when it was around 2.6 to the pound, aah the good old days when we could afford rice based cereal, beer and meals out. On the plus side petrol is still slightly cheaper than back in Blighty, just. We arrived in Perth and checked into the only place we could afford, a hostel. As you might have gathered over the last few months I’m not the biggest fan of hostels and the backpackers that dwell within, but we didn’t have a choice. Even hostels are charging around $80 a night for a private room, which is pretty much our entire daily budget, so we had to come up with a cheaper place to stay, and fast. We racked our brains and finally searched the interweb. We posted an advert on a local Perth website, asking if anyone had a room to rent for a couple of weeks. Within a matter of hours we were swamped with not one but two offers! So that’s how we moved out of the hell-hole, sorry hostel, and in with a nice girl called Mindy from Singapore. It’s a tad random but we are back to paying £22 a night instead of £50, cashback! 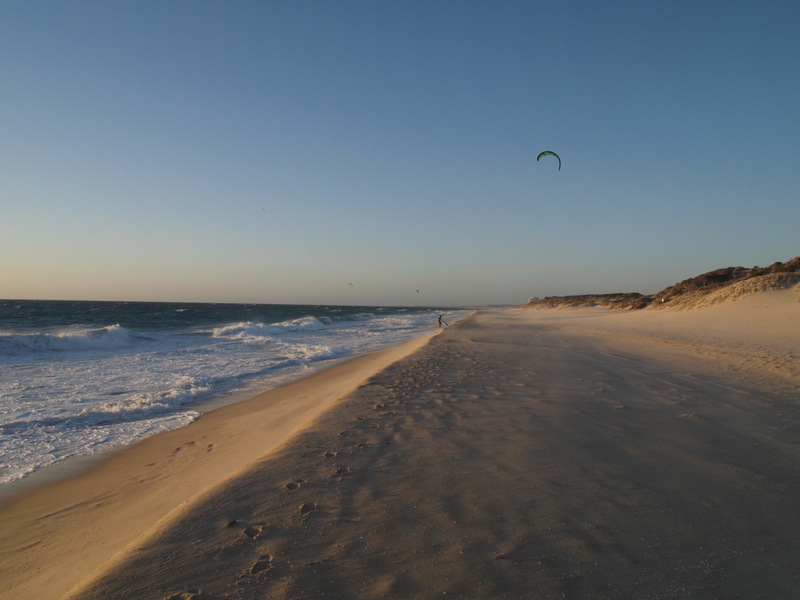 We’ve managed to keep ourselves entertained by doing the mandatory Lonely Planet guided walk, a staple of any city visit now, and hiring a cheap car and driving up and down the coast, checking out the beaches and watching the kite surfers. We wanted a have a go ourselves but unfortunately the lesson costs too much so we have had to sit on the shore and stare jealously out to sea. 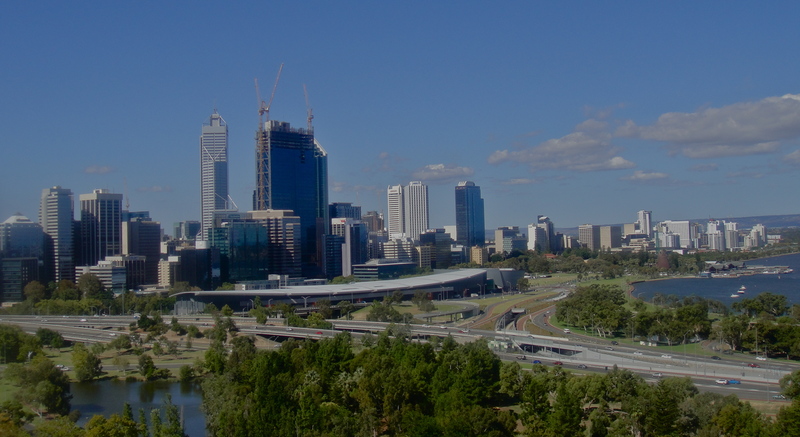 Perth is a lovely city, small, clean and in an amazing location. It’s got the most brilliant outdoor shops- great for me, not so great for Megan, and it’s been a super start to a life down under. I have also been amazed at the friendliness of the Aussies: we put a post up on the Australian Land Rover Club website and since then have had loads of messages ranging from good luck, to offers of places to stay and the use of garages. Not sure if this would happen in the UK. And that’s it really, we sit here waiting for the car, watching the terrible pictures coming out of Japan. Hopefully by the next blog we will be back on the road heading southeast on our way to Sydney, the old feet have started to itch! Last photo = sewage outlet? ?